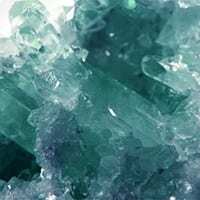 Crystals can be powerful—if you know how to use them. some of that knowledge to your practice with beautiful jewelry from Silver & Sage. 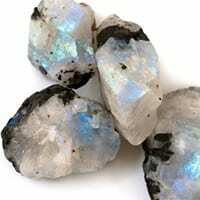 Moonstone is a milky white stone with silver and blue hints when the stone is rotated in light, and essentially the stone of new life cycles. Like the moon cycles (new and full moons), it is strongly connected to energy, intuition, and spirituality: all things love, power, and healing. Aquamarine is the stone of your deep subconscious, or soul. The stone reflects all things soothing, serene, and powerful. If you are drawn to this stone, you may be called to begin a meditation practice. This stone inspires the ability to trust and to let go. 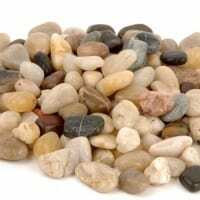 Riverstone helps with growth, evolution, and acceptance of change. Culled from moving bodies of water of the world, riverstone helps the wearer go with the flow rather than resisting new opportunities or change. It’s thought to have been used by ancient hunters and gatherers as a good luck amulet. 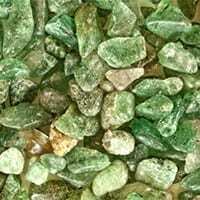 Aventurine’s power isn’t solely the manifestation of luck, but also one that helps to align opportunities. It can help you develop a positive outlook, clear insight, and connects you to your emotional and higher self. 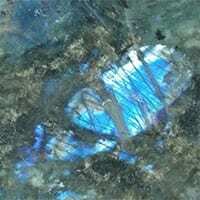 Known as the stone of Atlantis, labradorite is the stone of all things mystic, magic, and intuition. This is a great stone to help support anxieties, and can be used when you are faced with turmoil or transformation. Known as the stone of cleansing, turquoise is a natural guard against anything negative that isn’t serving you, your body, or your mind. This bright blue crystal is one of the oldest stones known to humankind, and was used as a talisman by kings, religious leaders, and soldiers. Jasper is an elemental Earth stone—it is made up of quartz that comprises 12 percent of the Earth’s surface. 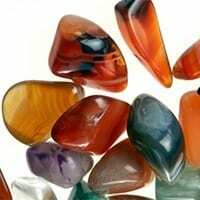 As such, it’s a very grounding stone, known as the nurturer and loving shield of the gemstones. Silver & Sage creates simple, natural and beautiful stone jewelry designs, hand-made in Scottsdale, Arizona. The balance of symbolism with naturally inspired elements invites women and men of all ages to connect with Silver & Sage Jewelry, making each design much more than an accessory, but a reflection of their own story. To learn more about them, visit silverandsagejewelry.com.